The yellow to golden variety of quartz, colored by trace elements of iron, is named citrine. 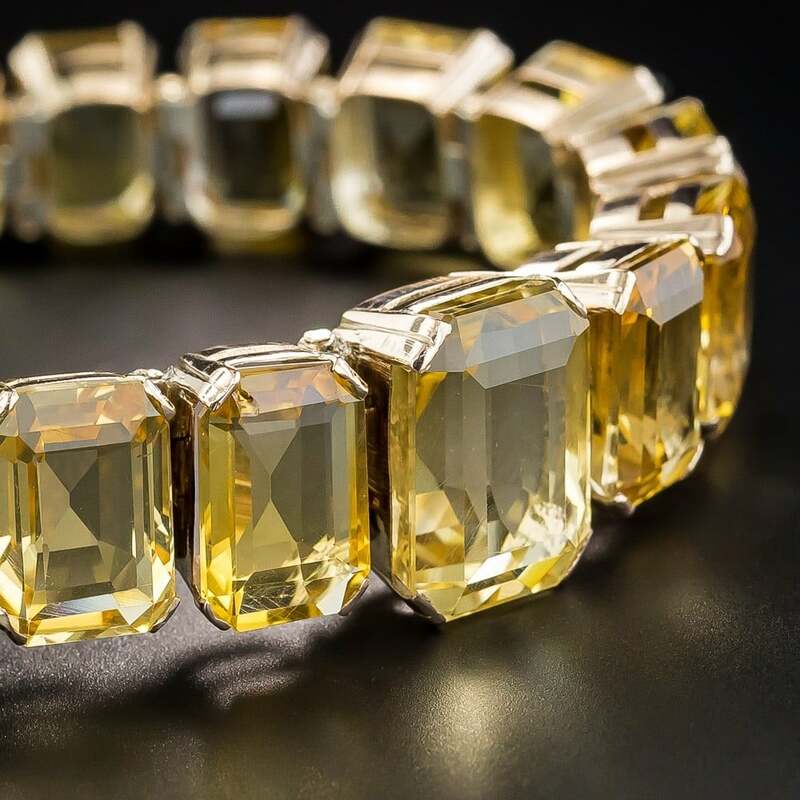 The color of citrine closely resembles the color of the more expensive yellow topaz and consequently, citrine is sometimes marketed under various misnomers such as Madeira topaz, Bahia topaz, and topaz quartz. Today, citrine is often actually the more abundant amethyst which has been heated to a temperature of approximately 900 degrees Fahrenheit (ca. 450 to 480 degrees C.). This creates a stable golden to yellow color which can be restored to its original color upon irradiation. Citrine is the second most coveted variety of quartz after amethyst. The prime sources for natural citrine are located in Brazil, Madagascar, and Myanmar. The ancient Greeks knew about this gem as early as the 4th century BC (the start of the Hellenistic period). It has been attributed several metaphysical powers: as a cure for heart and kidney failure, liver and muscle disease, and it encourages the Chi flow. The chakra based interpretation views citrine as uplifting, bright, energizing and inspirational. Citrine is the symbolic gemstone for the 13th wedding year and is the alternative birthstone for the month November, or the Scorpio zodiac sign.